Respawn Entertainment seems to be the perfect name for the studio that’s looking to start a new life after splitting with Activision a few years ago. The industry has been teased with blurry screenshots of Respawn Entertainment’s new game, but today we have the first confirmation that it’ll be called Titanfall. 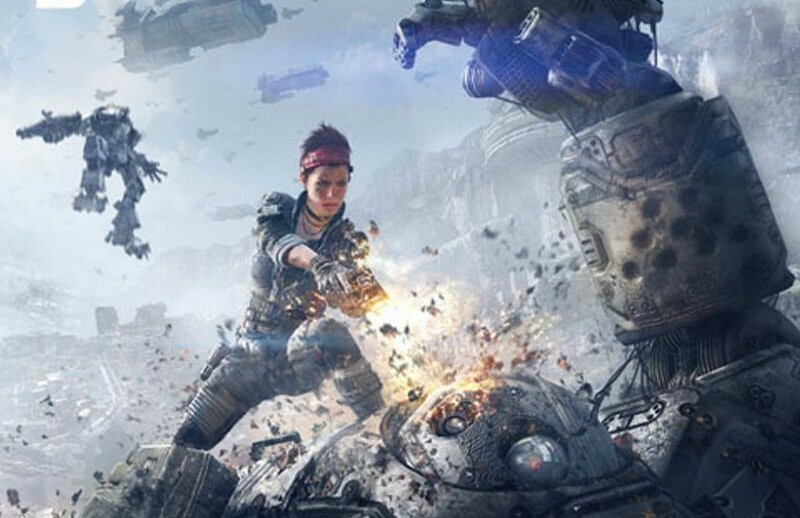 A leak of the latest Game Informer cover discovered by a NeoGAF user has confirmed that the game will be called Titanfall, and come to the Xbox One, PC, and Xbox 360. The Xbox 360 will be handled by a separate studio outside of Respawn, however. The game is set to feature mechs that are rather agile, and multiplayer matches will apparently feature up to 16-players as well as AI enemies. The game is said to use “the cloud” quite a bit, which may have had something to do with Respawn Entertainment going exclusive to Microsoft with the game on consoles. The game appears to feature a female lead character, but that’s just speculation at this point based on the cover. Respawn will be unveiling their title at E3 this year, and we’ll have full coverage of their game as the news breaks. What do you hope to see out of the upcoming game featuring mechs? Be sure to let us know what you think by leaving us a comment below, or take the conversation to Twitter and Facebook.